Arsenal boss #UNAI EMERY has decided against continuing the Gunners pursuit of Brighton and Hove Albion centre-back Lewis Dunk. Brighton’s star has impressed in his first full campaign in the English top-tier and has attracted interest from hosts of European clubs including Arsenal. The 26-year-old centre-back has been at the seaside club his entire career and now his name has been linked with a possible move to the North London club. The former Arsenal manager Arsene Wenger wanted Dunk to sign for the Gunners this summer but Unai Emery is against to get the deal done for 26-year-old Englishman despite his fine form last term. The Spaniard has rejected the prospect of moving for Lewis Dunk. 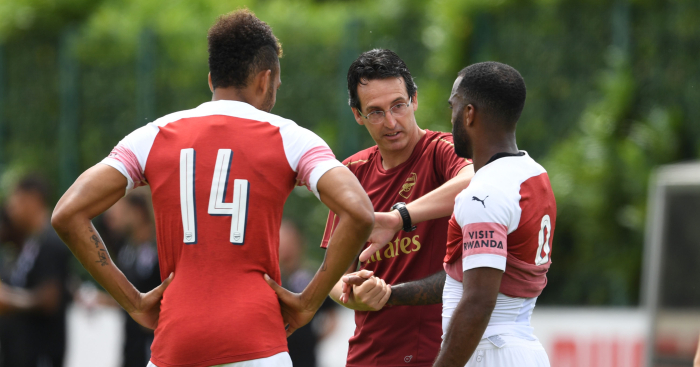 And instead, Emery looks to sign a world-class centre-back to pair him with Laurent Koscielny in the Gunners defensive area after Frenchman provided positive update over his injury. Stephan Lichsteiner has joined the Gunners as a free agent from Juventus, while Brand Leno has been the only signing this summer has been made by former PSG boss thus far. Dunk, meanwhile, is now due back for pre-season training with Brighton.